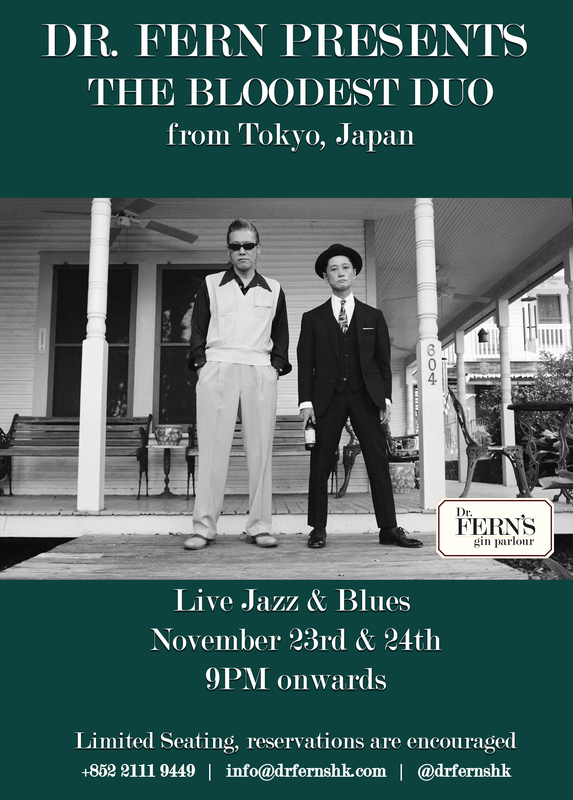 Formed in Tokyo, the jump blues & swing band, BLOODEST SAXOPHONE has been playing old-school vintage sounds since 1998. 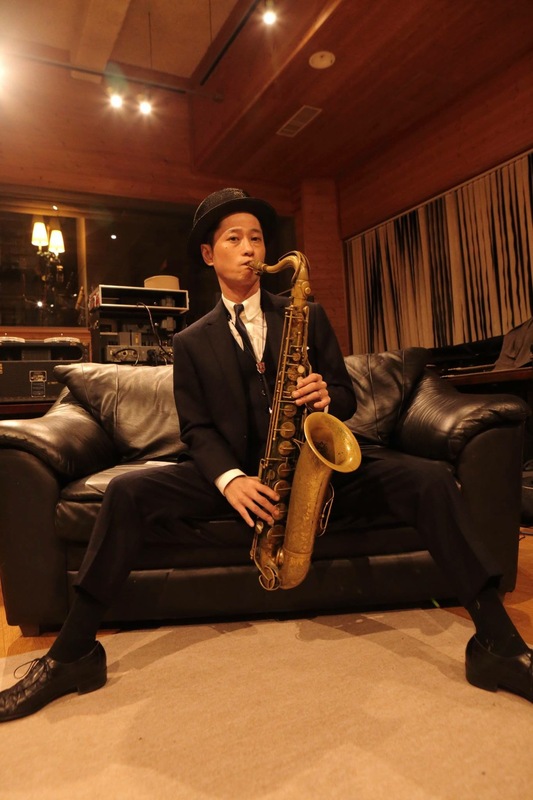 The group’s leader, Young Corn Shintaro, established the band with the ambition “to rule the world with the saxophone.” Young Corn Shintaro says “Jump Blues and Swing Jazz bring out the soul of the tenor saxophone, especially when jumpin‟. ” The group does not think of themselves as playing old music but instead just time traveled from the days when Illinois Jacquet and Arnett Cobb were around. Their first album “Blood–est” was released in 2003; to date they have released 11 albums and appeared on 13 compilations. Their music has been enchanting not only old school blues/jazz lovers but also Rock n‟ Roll, Rockabilly fans and Mods, the band‟s fiery performance at the event “Mods May Day” is a history. 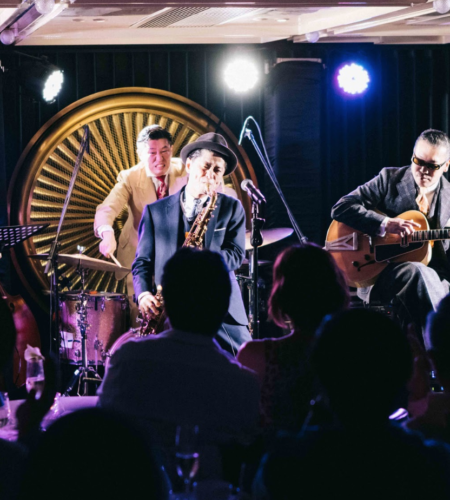 In 2012, the legendary honker Big Jay McNeely discovered them on internet, which led to have a joint tour of Japan in 2013 and the live album in 2015. 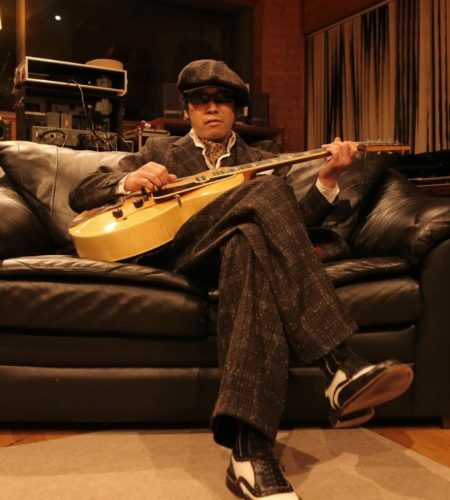 The combination of young and old generations brought forth the sounds of today‟s Jump blues. The album recorded in 2014 at the studio in the foothills of Mt. Fuji featuring the great singer from the 60‟s Louis Armstrong Orchestra, Jewel Brown, along with the album with McNeely, is highly acclaimed both in Japan and overseas. To give you a taste as to what I mean, I have invited my talented friends from Japan, the Bloodest Duo, to perform at my Clinic for two exclusive shows! On 23 and 24 November, from 9pm onwards, expect an evening of live guitar and saxophone tunes to accompany your gin prescriptions. Table reservations are available at $300 minimum spend per person, and walk-in patients are available with no minimum spend. 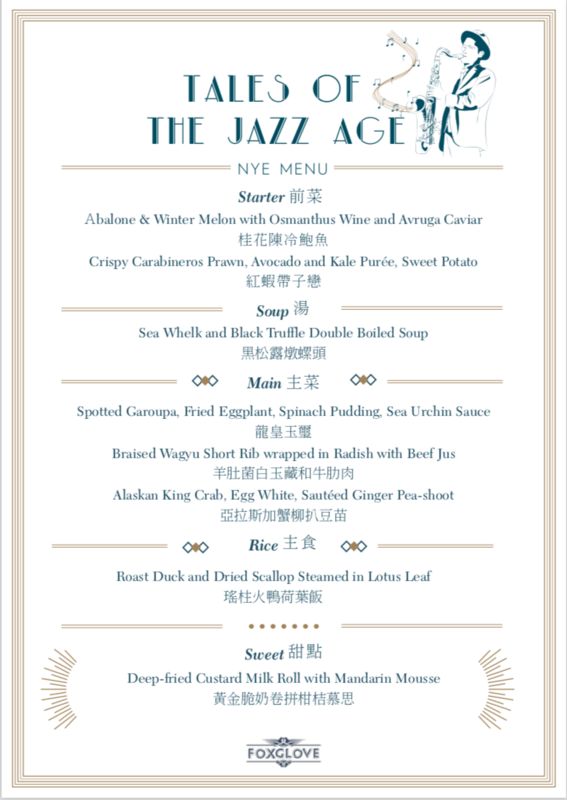 Please call Dr. Fern’s Gin Parlour at +852 2111 9449 or email [email protected] to make a booking.